"Relax by coloring beautiful complex mandalas"
Installation requirements: A minimum of 32M of free memory space and Android 2.3.3 or higher. Takes up very little space. 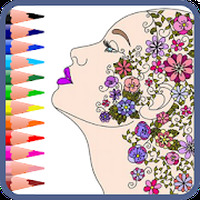 Do you like Mandala coloring book for adults?